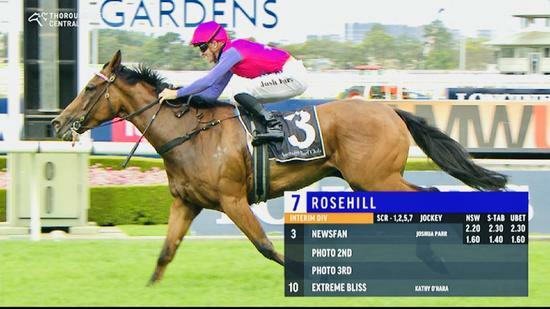 Newsfan resumed at Rosehill on Saturday and certainly did not let the team and her followers down with an electrifying win in the BM 88 f&m handicap over 1200m. Ridden a treat by Josh Parr, Newsfan enjoyed the run of the race in behind the leaders, before easing to the outside on straightening. Given more rein by Parr the mare exploded over the final 200m reeling off the fastest closing sectionals of the whole day to score by almost 2 lengths running away from her opposition and adding to her already impressive race record of 3 wins and 4 seconds from just the 7 starts. 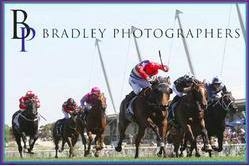 Great training performance by Kim to produce this mare in such terrific order for her first-up assignment. Congratulations to Jimmy and Betty Yee and all the team on a job well done!